Ever more stringent environmental regulations, acute economic crises, aging infrastructure, expectations of climate change, and population growth have all increased the pressure on cities to find new ways to provide services efficiently to growing populations. There is keen interest, globally, in the development of high performance land- and waterscapes that are specially designed and/or reconfigured to provide valuable ecosystem services (benefits that humans derive from the land or water). Interested in learning more about these important issues and topics? Join an interdisciplinary group of faculty, students, and practitioners for a late summer trip to Venice, Italy focusing on water, sustainability, and resilience in a contemporary and historical context. Our goal is to promote cross-cultural, multidisciplinary dialogue on this important topic. Complimenting classroom activities will be held at Ca’ Tron, a 15th Century building facing Venice’s Grand Canal. Students will visit innovative natural wastewater treatment systems, Venice’s multi-billion dollar storm surge barrier, ancient fish farms and habitat restoration projects. Participants will learn how those living in this World Heritage City have adapted to life in a dynamic lagoon facing a changing climate. 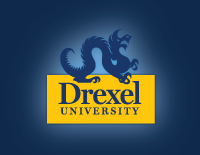 The course is open to Drexel full-time and part-time students (for 3 course credits), as well as to non-degree seeking professionals, who will receive a Water Resource Sustainability Certificate upon completion the program. Everyone planning to travel to Venice will be asked to participate in 2-3 reading and online discussion activities, as preparation for the trip. Course will be taught in English. All students will be registered for 3 credits as part of their fall term course load. Undergraduate students must leave space for the 3 credits in their fall term credit load or will have to pay for exceeding the 20 credit maximum. Graduate students will be billed per credit. The 3 credits for this program are not optional. The course is open to undergraduate and graduate students from across the university with an interest in water, cities, sustainability and related topics. It is also open to non-degree seeking professionals. All applicants will meet with Faculty Director Dr. Franco Montalto for an interview as part of the application process. Interviews will be scheduled with all applicants after the application deadline. Non-degree seeking professionals should contact Faculty Director Dr. Franco Montalto directly to express interest by April 1st. Students will be housed in apartment-style housing in the Collegio Gesuiti, a historical building located in Cannaregio, one of Venice’s five boroughs, and across the Grand Canal from Ca’ Tron. The program will provide students with vaporetto (boat bus) passes, allowing them to explore all of the treasures this city has to offer in their spare time. Program must meet minimum enrollment requirement of 10 students.